Cardiff manager Malky Mackay has a full complement of players to choose from when he takes his side to Southampton on Tuesday. Mackay had been sweating on the fitness of captain Mark Hudson, who missed the Carling Cup semi-final victory over Crystal Palace last week with a calf strain, but the centre-back has recovered in time for the trip to St Mary's and is set for a return to the starting XI. Full-back Kevin McNaughton is also likely to come back into the Bluebirds' defence in place of Darcy Blake after making his comeback from injury in the win against Palace last time out. A victory for Cardiff would take the Welsh outfit above their hosts and into the npower Championship automatic promotion places. 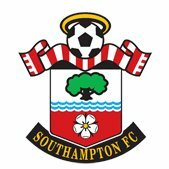 For Southamptaon, defender Jose Fonte (toe) and midfielder Richard Chaplow (knee) are fit after spells on the sidelines while winger Adam Lallana (groin) will be checked over. But Jos Hooiveld is set to miss out again with a hamstring problem and fellow centre-half Dan Seaborne is continuing to build up his fitness after a head injury. Tottenham loanee Iago Falque returns after he was cup-tied at Millwall on Saturday while goalkeeper Kelvin Davis, midfielder Jack Cork and striker Guly do Prado were rested.